HTC is planning to launch its first smartwatch in March alongside a new flagship phone, Bloomberg reported on Monday. HTC has been tipped several times to be in the process of developing a smartwatch over the past few years, and the Taiwanese company was listed as an official Android Wear partner when Google announced the program, although it has yet to produce a wearable product for commercial sale. The Bloomberg report noted that the new high-end HTC phone will use Qualcomm’s Snapdragon 810 processor, have a 20-megapixel rear camera and a front-facing camera using HTC’s UltraPixel sensor. Sound will be provided by Dolby-capable front-facing speakers. The device should have fitness tracking capabilities through a partnership with Under Armor’s fitness service. Those specs match up with previous leaks describing the [company]HTC[/company] device reportedly codenamed “Hima.” The Bloomberg story also appears to indicates that this new phone has been using HTC’s existing code-naming convention, and could be sold under the moniker HTC One M9. Unfortunately, Bloomberg didn’t share as much about the forthcoming HTC smartwatch — such as what software it runs. A year ago, HTC previewed several wearable devices, including one model based on Qualcomm’s Toq reference design, and one smartwatch “using Google Now” that sounds very similar to Android Wear. Based on HTC being listed by [company]Google[/company] as one of the first five Android Wear hardware partners, it’s likely that what HTC is cooking up is based on Google’s smartwatch software. CNET reported last year that HTC will “likely use an altered version of Android Wear” that includes “different elements and features” for its first smartwatch. A smartwatch would make a lot of sense for HTC next new product, as the company has been diversifying its product lineup past smartphones. So far, HTC’s started producing tablets, such as the Nexus 9, and handheld cameras. 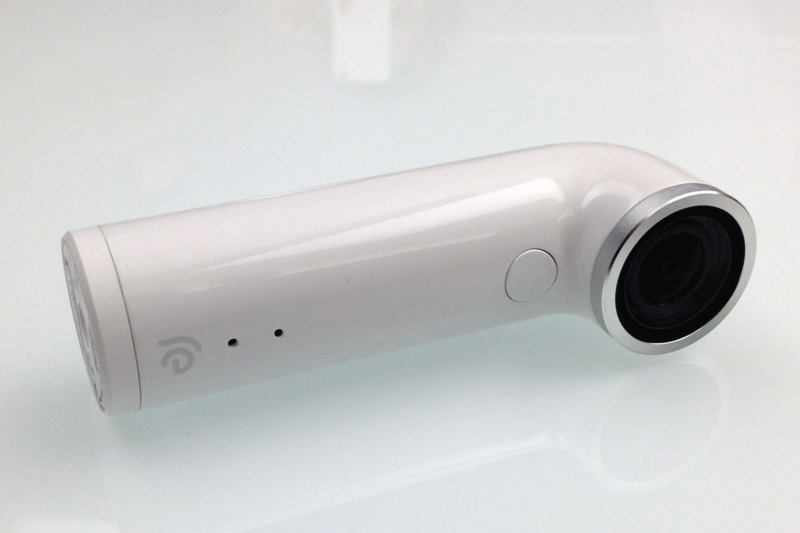 In 2014, HTC launched the Re, a screen-free action camera largely controlled by a smartphone. HTC has given every indication it expects to launch more standalone cameras in the future. In December, HTC announced its first quarterly profit in three years, but it was slim and full-year revenue fell. I’ve been an HTC fan for many years and will look hard at a smartwatch if/when they announce one. Unfortunately, they’re a bit late to the game and will have to convince me to give up my Asus Zenwatch.